Toshiba Electronic Devices & Storage Corporation (“Toshiba”) has released “TLP176AM,” a new photorelay in a small 4-pin SO6 package, for factory automation and other industrial applications. TLP176AM has a rated on-state output terminal voltage of 60V and a rated on-state current of 0.7A. Volume shipments begin today. 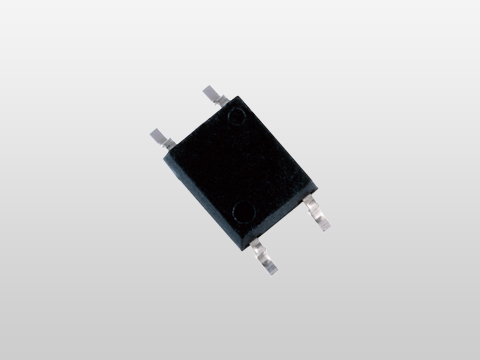 TLP176AM incorporates MOSFETs fabricated with the latest U-MOS IX process, and supports an on-state current of up to 0.7A. It also provides higher ESD immunity than the current TLP172AM, with a rated on-state current of 0.5A. The new photorelay is upwardly compatible with TLP172A, Toshiba’s major photorelay in a 2.54SOP4 package with a rated on-state current of 0.4A, in terms of both performance and footprint. TLP176AM is suitable for use as a replacement for 1-Form-A mechanical relays—replacing mechanical relays with photorelays helps to improve system reliability and reduce the space required for relays and relay drivers. As TLP176AM has a rated operating temperature of up to 110ºC (max), it is also easier to allow for a temperature margin in system-level thermal design. Toshiba Electronic Devices & Storage Corporation will continue to deliver products that meet the needs of customers by promoting the development of a diverse portfolio of photocouplers and photorelays tailored to market trends. Follow the link below for more on the new product and photorelays line-up.